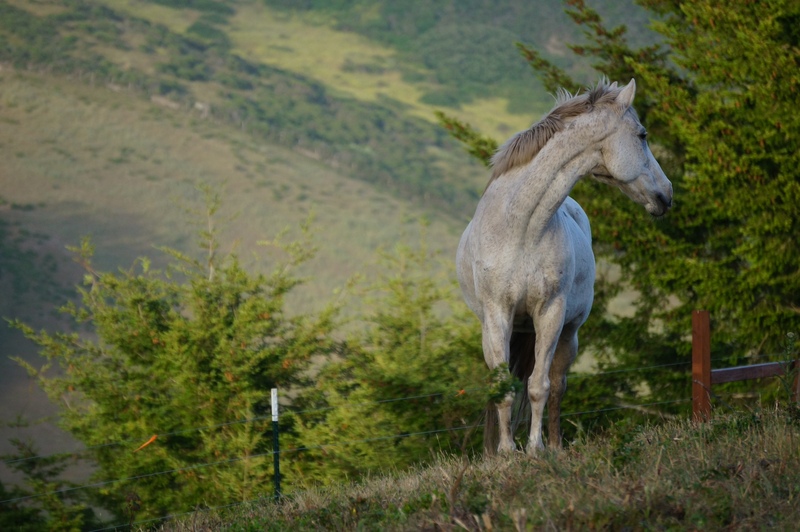 The horse is the main tool we use to connect Square Peg students to a world they are often shut out from. 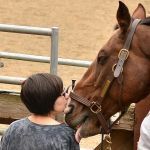 Autism literally means “Locked within the self.” Horses, environment, movement and humor are the keys we use to help connect autism and other special needs families so they can share love and joy together. It’s not unicorns and crystal balls – it’s neuroscience. Please join us by sponsoring one of these glorious animals. Each Square Peg Horse has a story to tell and something special to offer our families. Each one has a personality that draws out joy and connection and empowerment from the kids in our program. Everyone deserves a place where they feel Safe, Accepted and Competent. Our horses do that every single day. 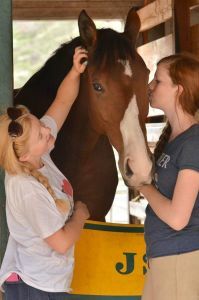 A gift of horse sponsorship is a gift to Square Peg Ranch, to the families we serve, to a loved one AND it’s tax deductible. Here’s a chance to meet them and to give a unique gift that can never be bought in stores. life acquired quite the story – while resting at Harris Farms last year, Extra Fifty saved the life of a foal in need of a blood transfusion. Shortly after that, Extra Fifty lost his left eye in a pasture accident. 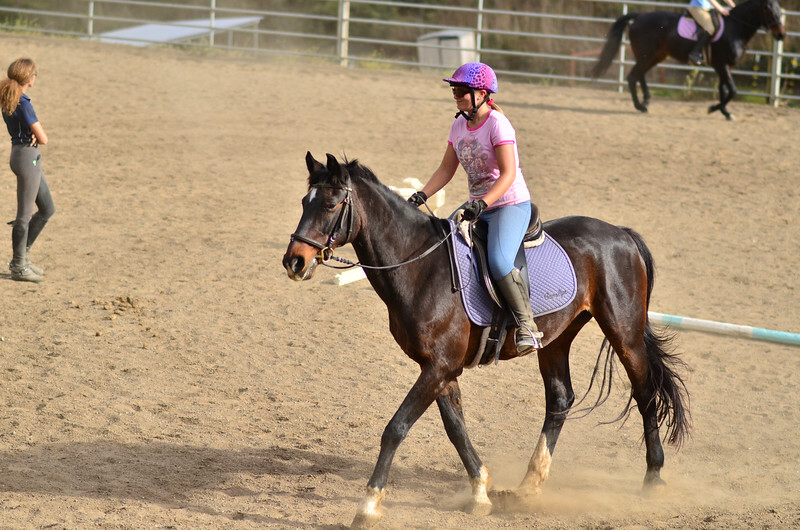 He came back to racing, despite an ankle injury and then developed a tendon tear in a front leg. 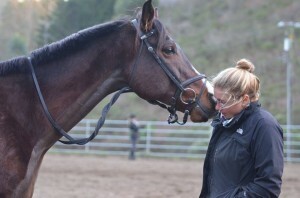 When we picked him up at Golden Gate Fields, the entire barn crew saw him off with tears in their eyes. As you can see from the photos, he’s charming everyone with his beauty, his curiosity and his willingness to learn. We have faith that once you meet this special horse, you will be in love like we are. 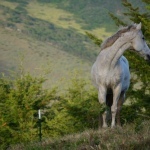 The DeFrancis Family has sponsored Curtis for December – will you be Curtis’ angel for January – February and/or March? 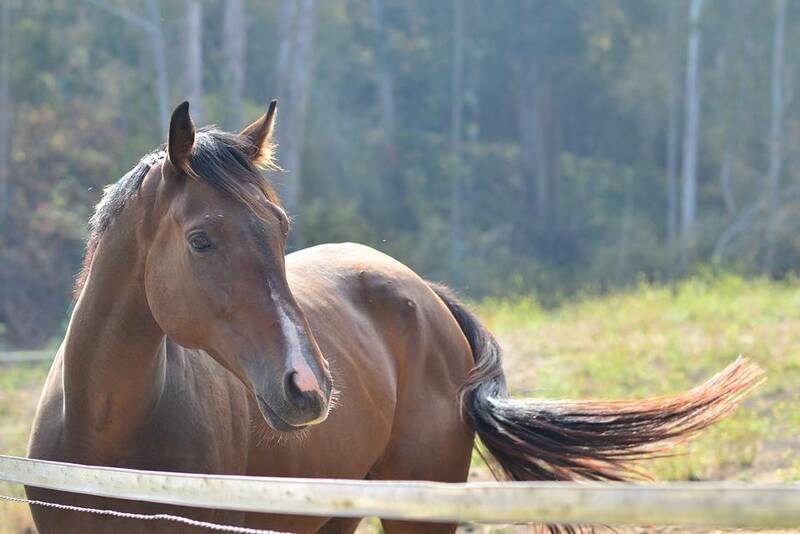 This six year old Kentucky bred son of E Dubai won $47k in just seven races. 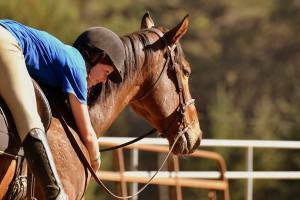 With love and dedication, instructor Rachel Bisallon has brought this horse from an injured racehorse to a reliable school horse in just under one year. Read their story here. One visit with this tall dark stranger and you will see why he’s a part of our special tribe at Square Peg Ranch. If you knew Panzur like we know Panzur, you would know that he’s one of the most aptly named horses we know. This 20 year old Holsteiner gelding really is built like a German tank ;-) Panzur’s person, Stanford Women’s Polo Coach Laura Hansen had been telling us about Panzur for years and how snuggly he was and how much he loved people. 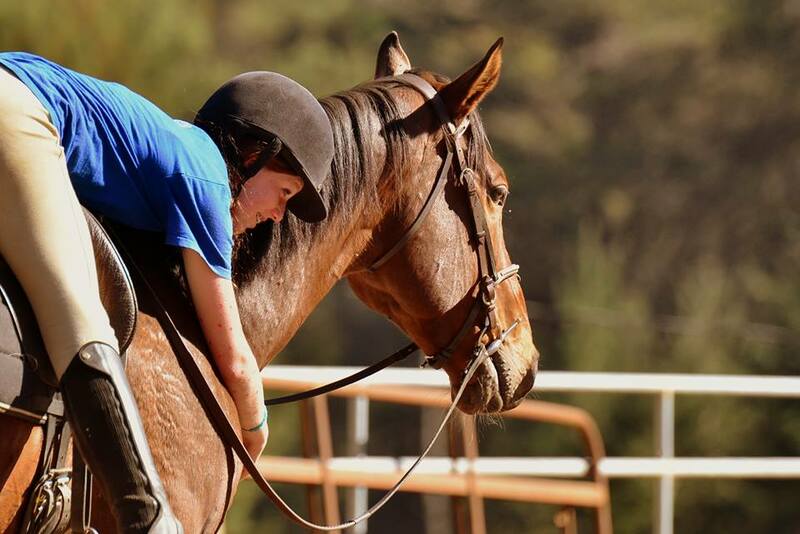 When the program clearly needed a big horse capable of carrying riders of all sizes, Laura brought Panzur into our program and into our hearts. Oh Stan. Once deemed “The terror of Bay Meadows” this unruly son of the great Kingmambo and whose second dam is the Eclipse Award winning Eliza (that’s really impressive to pedigree geeks) was a disaster at the track. Plagued with injuries, illness and a bad attitude, Irresponsible King had few career options. 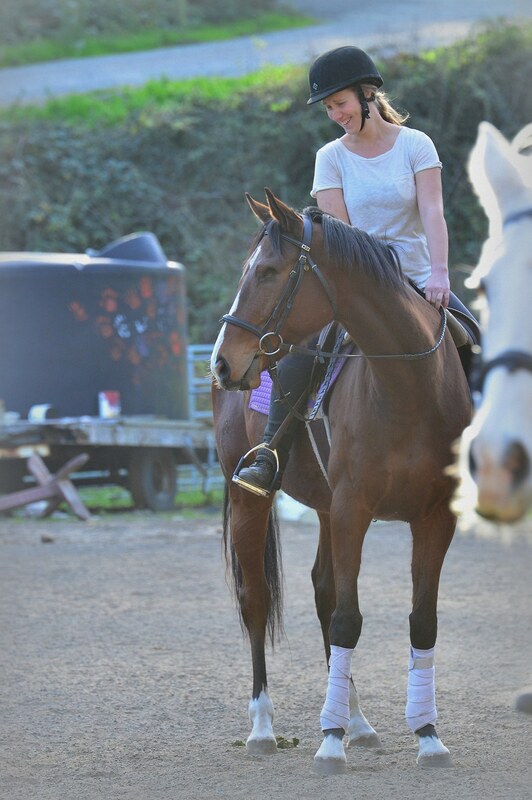 If you visited the barn now, you would meet our most advanced trick trained horse and one of our very best jumpers. 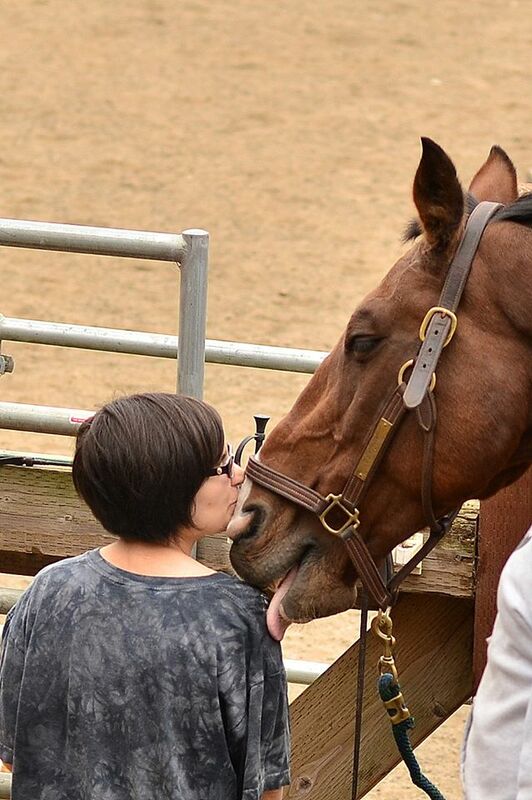 Love and patience have transformed this fella into a wildly friendly horse who loves to please. by Decarchy out of Wendy Darling aka “Owen” came off the track with a broken knee and a curious brain. He was born in 2011 and has found a friend in Ace (we call them The Bros!) Owen enjoys running in the turnouts, snacking on hay, and practicing his tricks. Owen began his official training this year and is already participating as a Square Peg School Horse! At Square Peg from day one, Gigi was deemed a “rogue” at the track. 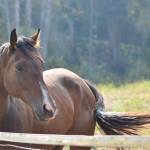 Un-raced, injured and distrustful of humans, we began our journey together 15 years ago. Last year, Gigi was diagnosed with advanced Cushing’s Disease. She will live our her life under medical care and love from our community She’s our lovely princess. Gigi. 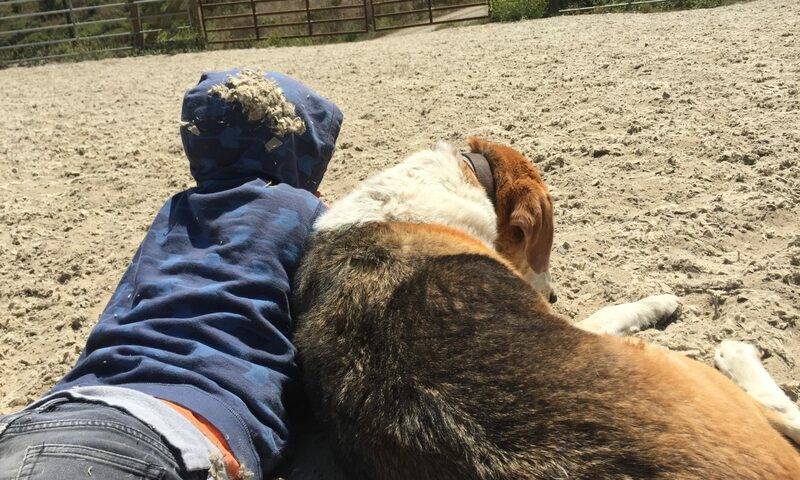 Even though El Camino Real (Gr II) winner Autism Awareness and our Finn are not blood related, they are connected deeply. 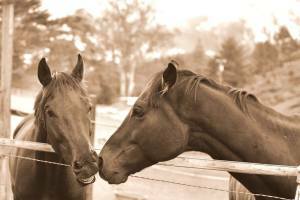 If you don’t know the story of the racehorse Autism Awareness, grab a tissue and read it. Autism Awakeness was owned and donated by our friends the Taboada Family who race horses with names that spread autism understanding to the horse racing world. According to Johnny Taboada, “Finn” is the fastest horse he ever owned. But racing luck was not with him and his career was started and stopped with minor injuries and a trailer accident. 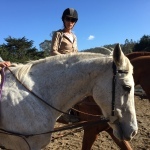 As you can see from the picture, this giant horse is extremely kind and steady and we look forward to many years together. We are so grateful to the Kunze Family for their continued support of Finn! Success isn’t measured in numbers, but by the sound of a child laughing or reading aloud, or by the smiles on their faces after a ride around the place where Everyone Fits. 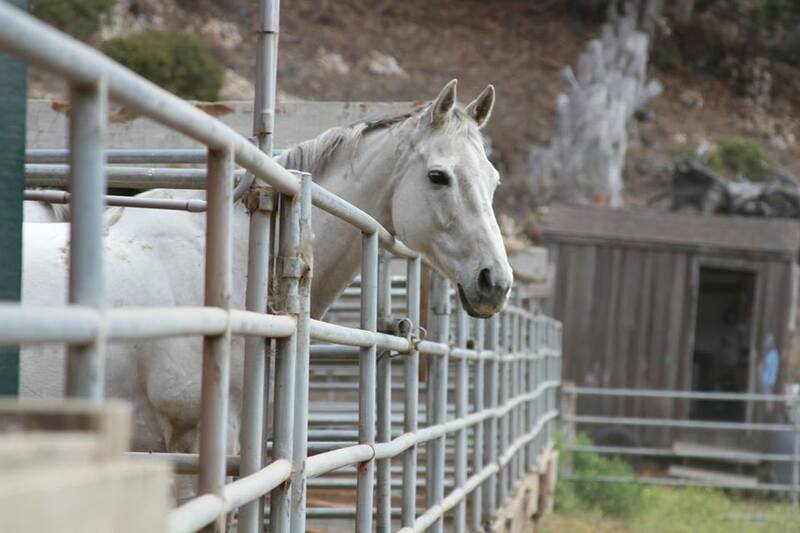 We are so grateful for our current horse sponsors – you are our angels! The Bielagus Family is once again sponsoring Bert! 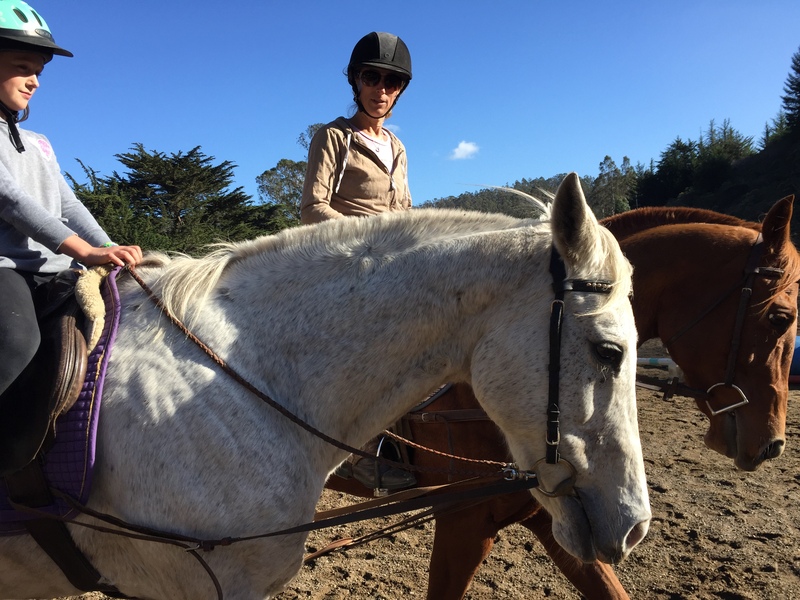 We are so grateful for the continuing support of Geri Forrester and her sponsorship of Cee’s For Clever (Cecil) Momotombo (Henry) Snickerdoodle (Django) and Forbidden Stitch! You are an angel Geri!